It’s way out of Active Illustrated’s topic of junior sport, but I was intrigued when Gary Ledson talked to me in excited voice about Walking Soccer. 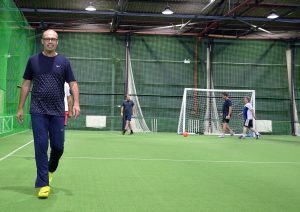 He told me that the sport is growing very fast in UK and Europe and he would arrange SA’s very first Walking Soccer game. Okay Gary I said, I’ll come down and take a few photos. Thinking it is promoting health of, let’s say a “mature playing group” so it would be for a good cause. Little did I know that I would have a great time to the point I left the camera on the side line and jumped into the game. Sorry let’s rephrase that (no jumping and running allowed) so a walked into the game and forgot taking more photos. 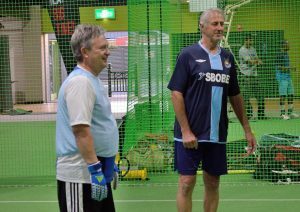 Local pensioners left their computer keyboards and their allotments to get active with the latest new sport – “Walking Football” which was officially launched last week at the 3G pitch at Queens Park Sports Centre. 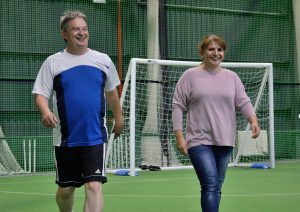 The new one hour session has been specially devised by Chesterfield FC’s Community Trust Head Football Coach Andy Morris for people aged 60 and over, and is set to run every Tuesday from 11.00am to 12 noon until the end of August. 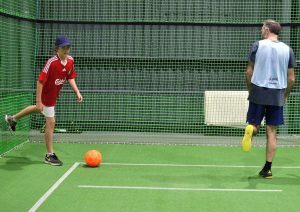 Over two dozen people took part in the first session which included ball skills and a two sided football match. All the rules are the same as a normal game of football, although there is one difference; you can only walk, NO running, NO sprinting, JUST walking. After a little bit of research, I found that Ballarat was the first to take up the idea in Australia. 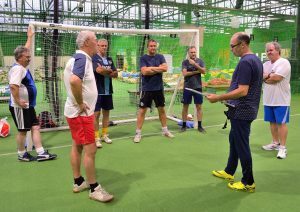 Sports Central, a not-for-profit organisation working in the Central Highlands region of Victoria, started the first “Walking Soccer” round robin tournament in 2016. And there is still a group of seniors getting together every week since the tournament. 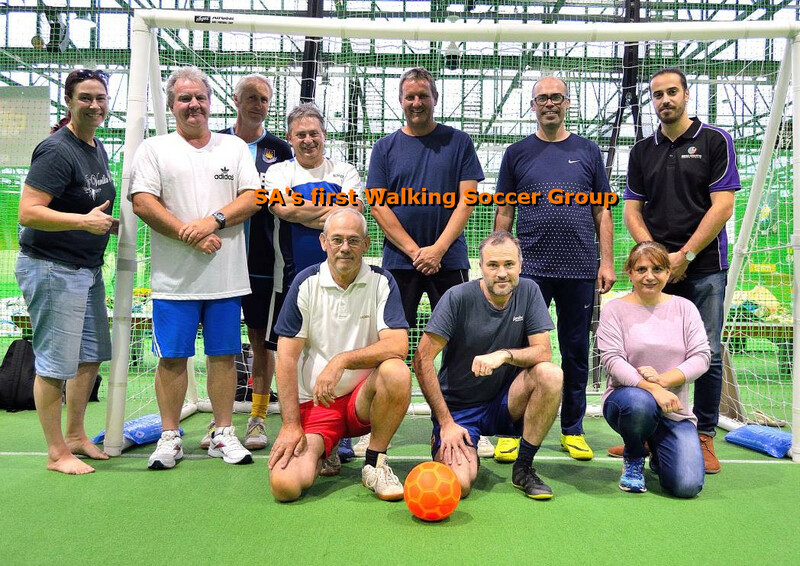 Since last year an RSL club in NSW have also introduced the sport and Walking Soccer is played regularly. I am now convinced the sport will grow in Adelaide. It is fun and has many benefits and for many who used to play a sport but have no outlet for playing, this is the perfect sport. However, I wasn’t as convinced when I jumped in the car after rushing home from work picking up and dropping of my children for training etc. 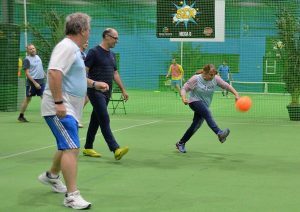 I arrived in time at MegaCourts in Windsor Gardens, a great place for indoor sport and activities. They had offered to host the first ever Walking Soccer Event in SA. Gary introduced me to Michael and Geoff when I arrived. We sat down and Gary started to explain his vision. 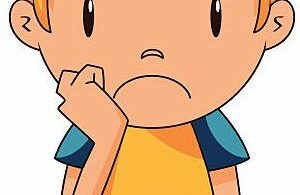 I have always realised in a lot of work I have done with kids and adults, to have anything positive to progress on (as person’s) mental health or physical health, relationship is really important. Activity can often be the gate way of building relationships more than talking. 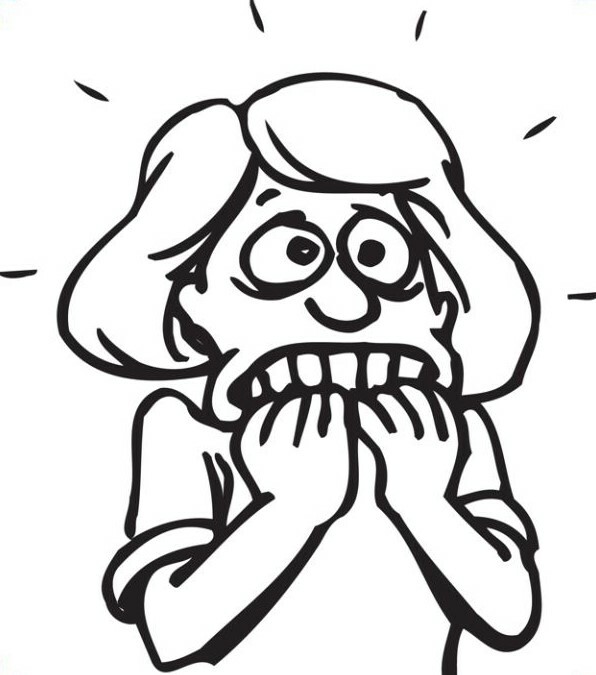 If you have a person who is anxious to talk, and you expect them to talk, then usually they won’t come again. Anyway, so I often used activities in my work. I have used a lot of soccer with kids. I realised that to just get a ball out, I saw more and more about how attracted people are to it, particularly to the round ball. It draws people in, I see it all the time. When a ball starts moving, it brings people together from all sorts of backgrounds. I got frustrated working in the mental health system I suppose. I wanted to do more activities in my work (I could see the real benefits). When I was thinking about it, it made a lot of sense to do something I was interested in. I was interested to use activities, not just for competitive sport, but more for the other benefits of sports. Along that road I learnt a lot about walking football. In fact I got the guy (who introduced me to walking football) coming tonight, Chris Hyde, he knew the direction I was looking, (exploring) other values of sports. And he mentioned some feature on the BBC website where he had seen it. He said I should have a look at this so maybe a year ago, I looked at the video, and for me it was a great fit (for what I wanted to achieve). Typically the populations drawn to Walking Soccer includes those that played soccer to a certain point, maybe in a competitive league, then continue to 45 to 50 years old, but probably most people have dropped out by then. Walking Soccer allows them to continue. I guess (there are) around 1000 clubs in UK, and now the universities are on board. They are researching (and proving) there are physical and mental health benefits. This is more than something for over 50’s. I think it has much more value for people from different age groups are playing, you can have families involved, even with Grand Parents. 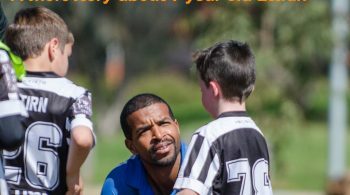 I have spoken to a couple of ladies who want to connect better with their children and want to understand more about soccer to do so. take any opportunity to kick a ball in the back yard with their grandchildren. But now they have an opportunity to play together with them and others in a game. It will be something different and a lot of fun. Gary: There are so many benefits; Physical health, mental health, community health. Bringing community together in a great environment. Gary then led the group with a warm up lap (walking around the court) but when the cones came up, he was the only one enthusiastically zig zagging between them LOL. I took some photos and it was clear that everyone had a lot of fun. After 10 minutes, I had to join in. I was surprised, it was actually a lot of fun. Nigel: I was revisiting old time [laughing]. It was a lot of fun. My highlight was to play sport with people again. I normally walk or ride my bike but this is always on my own and this was totally different. Chris: it was very entertaining actually. It was a lot of fun. 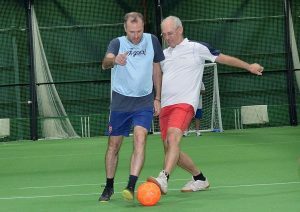 I still play a bit of soccer but in Walking Soccer you have to pass to the feet instead in front of players. It’s a bit challenging. I can see father and son playing and the son is 46 [he said this while tapping (Gary) on the shoulder]. Maria: Well it was a bit overwhelming at first [Usain Bolt someone suggested] but I loved it as we played as a team and ever one was inclusive. I have learnt a lot from the boys. Their footwork is amazing. Definitely need more females next time. I did try to round up a few but it was in a last minute. 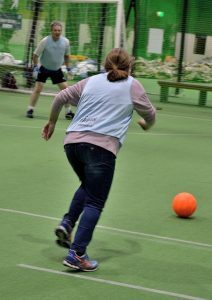 I normally do yoga and walking and I used to play netball and basketball but never soccer (or football-the world game) ha ha!. Peter: Highlight for me is the food at the end [several people laughing]. I got to be honest, I came here thought it would be boring and I only did it for Gary to make up the numbers. But I got to say I thoroughly enjoyed it and got much more out of it. You meet people and different ages and backgrounds. I think the boy could not been older than 13 years old, well it was brilliant! Bob: It’s hard Walking Soccer because you are not allowed to run. I still play soccer outdoor, well let me re-phrase that “I try to play” but yeah, I was surprised it was really good. I have to find out when it is on again. 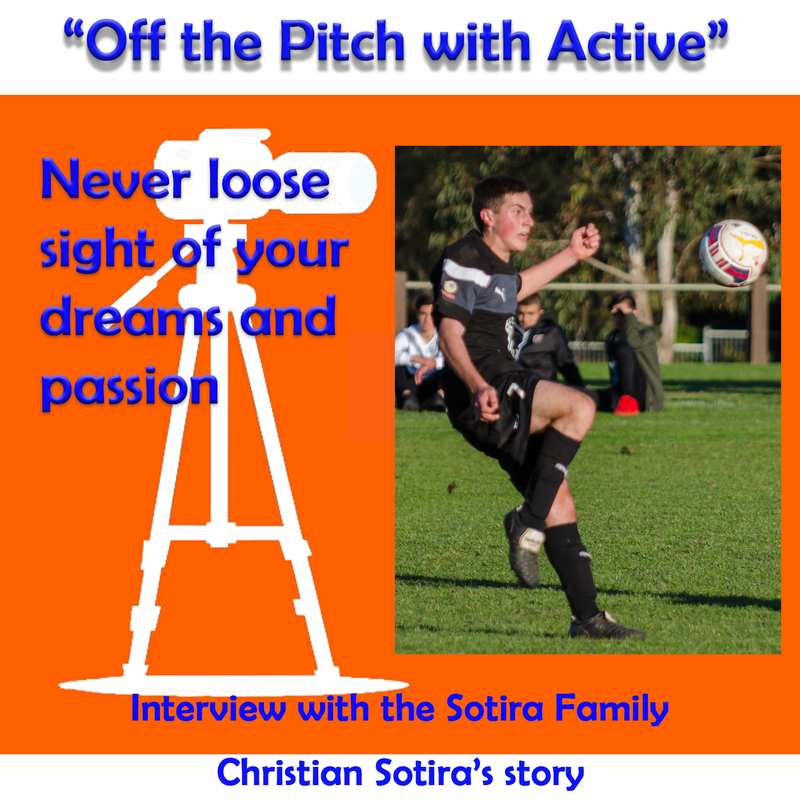 “Off the pitch with Active” is a creation of Active Illustrated. 26th Feb ’17 A taste of the Big League Part 1 Chris Higgins talks about the start of his career and his experience in Glasgow Rangers and Middleborough. He also tells the story why playing in America inspired him to continue with coaching in Australia.